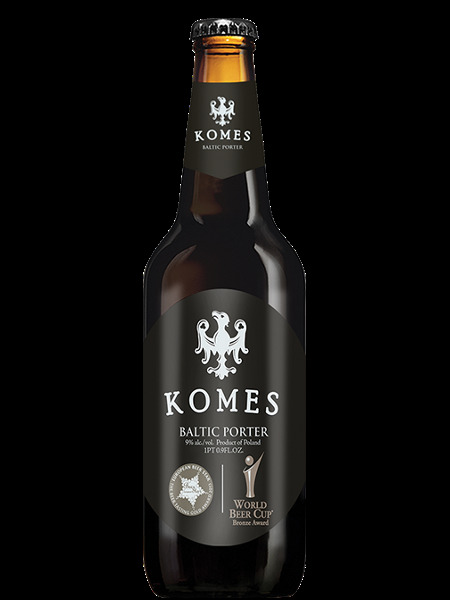 Komes Porter is a full-bodied Polish Baltic porter with a substantial roasted malt character, offering a perfectly smooth, rounded finish. It has majestic black color and great creamy head. Flavor of roasted malts is well balanced with espresso and chocolate hints. Its complex, unique flavor and aroma will cater to the most sophisticated tastes. The taste changes over time: from freshly burned to more complex and dry. 2013 Bronze Award winner at the World Beer Cup.